I decided to stick with my texture theme and use the Zoya Pixie Dust polishes from the first collection. I found a base color that was similar using a variety of different brands and taped off a section to add the Pixies. The thing I love most about ManGlaze polish is that it has so much hidden shimmer that you can see once it is top coated. This was a great way to showcase it in a variety of ways. This is Royal Matterimoaning. There are so many great textured polishes out now and I still enjoy wearing them. I am hoping the trend sticks around for a while. 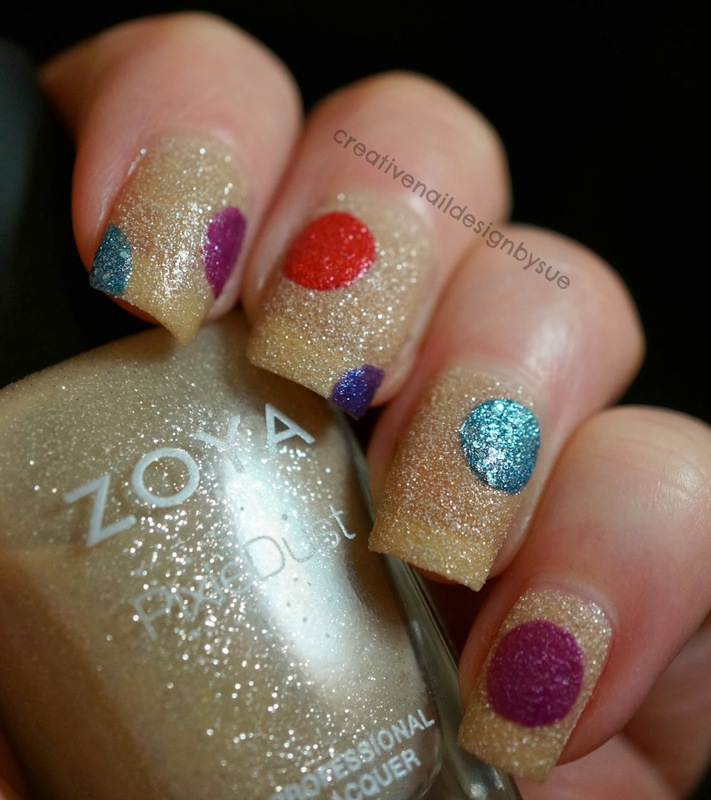 I love Zoya's Godiva so much because it is such a great neutral with a little bit of sparkle for interest. 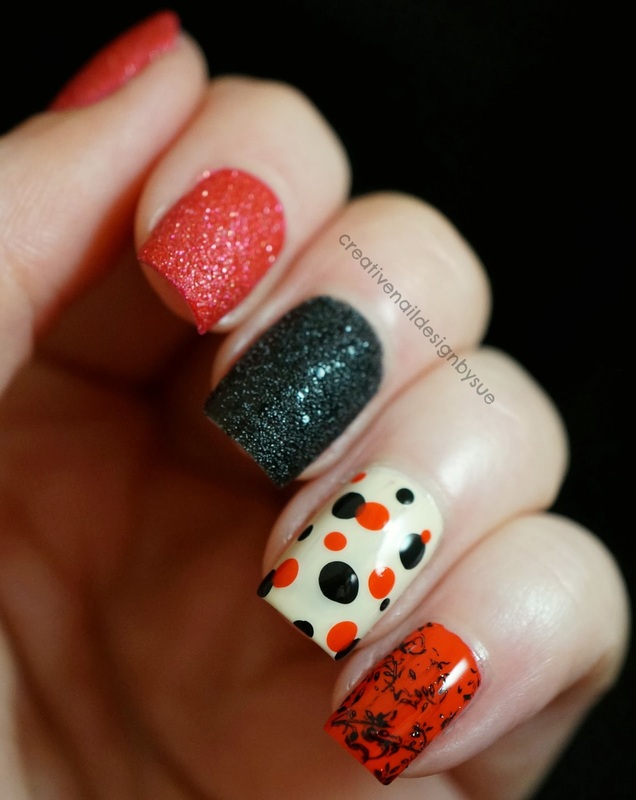 I used it as the base here for some circles in OPI Liquid Sands. I used Tiffany Case, My Current Crush, Can't Let Go and Magazine Cover Mouse. This month the Digital Dozen is doing skittles as a theme. I am not great at skittles so this week was difficult for me. I always struggle with how to put things together so that they blend well. 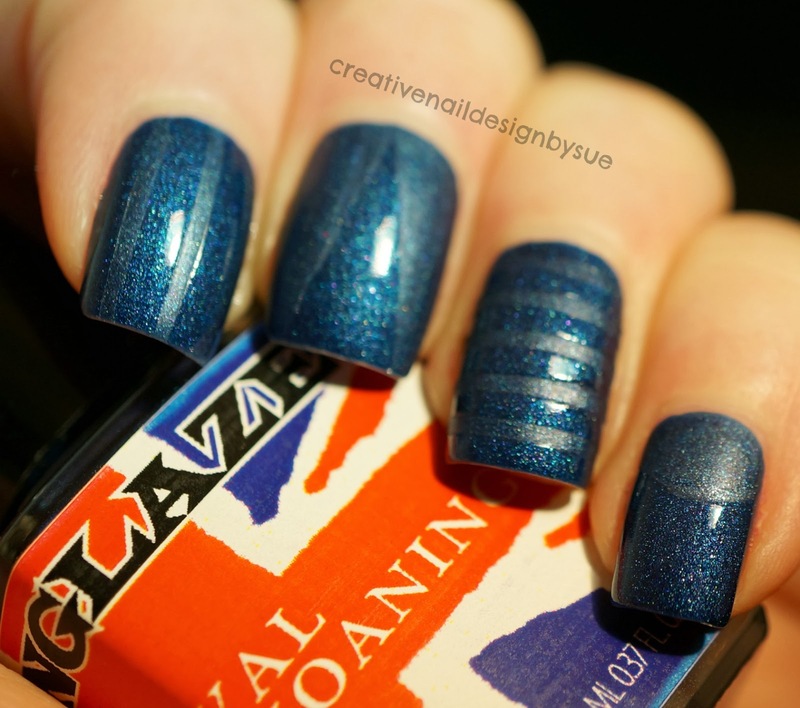 I was recently at Cosmoprof and picked up OPI Is That Silva which is a magnetic polish. I wore it on its own and was really impressed. Not only did it have that great design created by the magnet but it has some hidden holographic sparkles that are really impressive. I wondered what else I could do with the polish to get more use out of it but in a creative way. 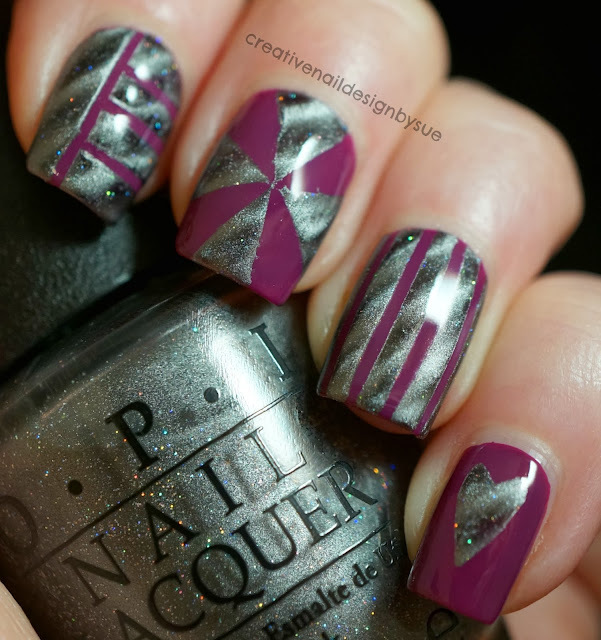 This is what I came up with over a base of OPI Pamplona Purple.